“Nowhere and Everywhere at the Same Time No. 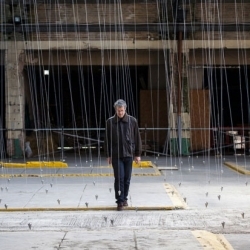 2" by William Forsythe at the Brighton Festival fills an old municipal market with hundreds of delicate pendulums, swinging in timed sequences. More about the installation here.